Please fill in the short form below with your question, either about the Hondex HE-775, or for some technical advice. Please include details of your vessel if you feel they will help us answer your query. 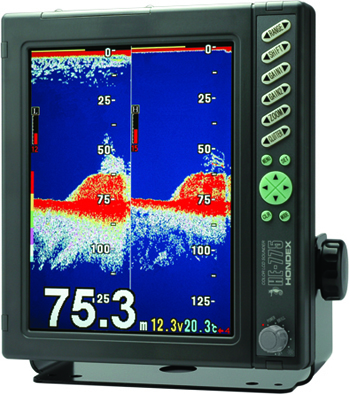 The HE-775 is a fully featured echosounder suitable for all types of fishing, leisure and light commercial vessels. The picture can be presented in Landscape or Portrait mode on the high quality 10 inch colour LCD screen. 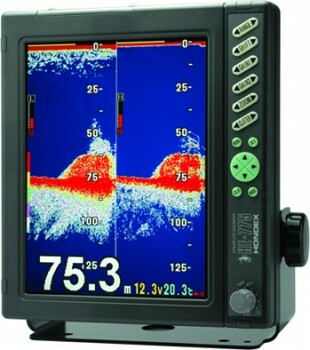 The HE-775 is available in single frequency 50 or 200KHz versions and 50/200 KHz dual frequency version. Maximum power output is 1.2Kw. dependent on the transducer model selected. 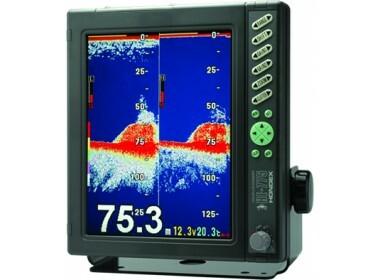 The HE-775 is a quality product with 2-years manufacturer warranty all at a very attractive price.